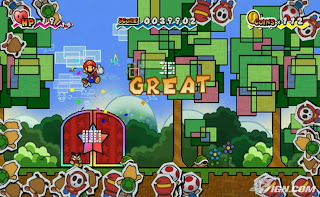 Thankfully I've already pre-ordered a copy of Super Paper Mario--considering the hype that's building around Nintendo's next big Wii release, I think it's going to be pretty hard to come by on launch day (which is April 9, for those of you in the U.S.). IGN and CVG (Computer and Video Games) both have posted hands-on impressions of the 2D/3D title in the last 24 hours. Both heap loads of praise onto Intelligent Systems' latest foray into the world of Paper Mario, with CVG winning the title for best synopsis: "One of the best games we've ever played."